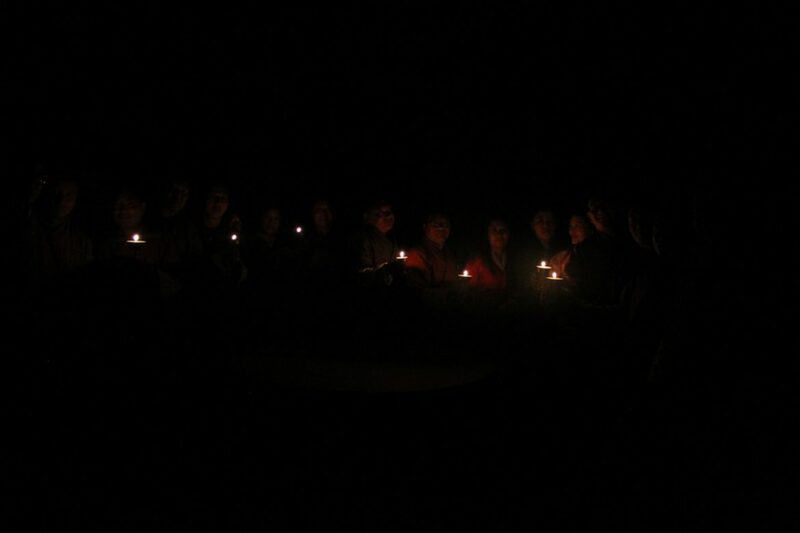 As millions connect to the Planet to Celebrate Earth Hour 2018 on Saturday, March 24 at 8:30 p.m. local time, the dignitaries and invitees at BTFEC’s celebration of accreditation to the Adaptation Fund joined the global community, by switching off the lights in solidarity to show their concern for the planet. Coinciding with the Earth Hour, BTFEC celebrated its accreditation to Adaptation Fund as it National Implementing Entity. 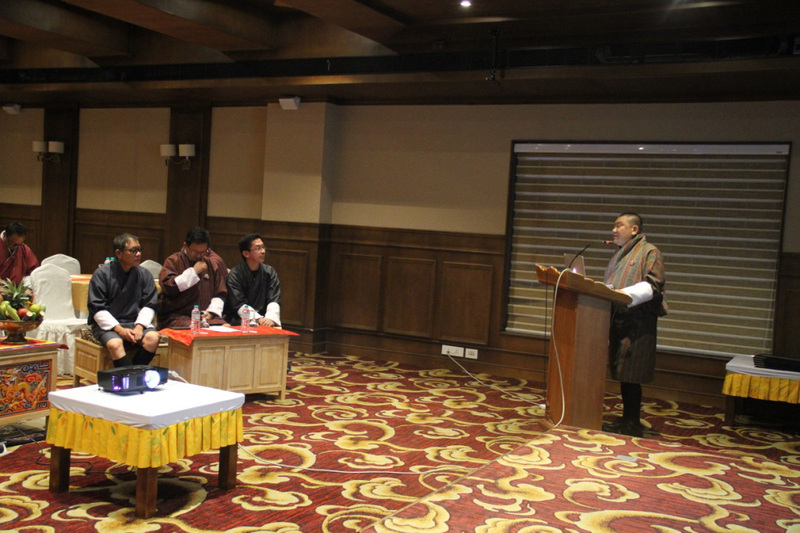 The Chairperson of the Board, Honourable Lyonpo Yeshey Dorji, Minister for Agriculture and Forests, Members of the board, Technical Advisory Panel, Asset management Committee, officials of Gross National Happiness Commission, GAC, development partners, and other invitees attended the event. The Chairperson commended the BTFEC, GHNC and the local consultant for their hard work involved in getting this very important accreditation by awarding them with certificate of appreciation. He said that, this would help the government of Bhutan in filling up resource gap during the 12th Five Year Plan. Adaptation Fund accredited Bhutan Trust Fund for Environment Conservation (BTFEC) as Bhutan’s first National Implementing Entity (NIE) under direct access on 25 January 2018. BTFEC is the Fund’s 28th NIE to become accredited around the world with the capability to develop effective adaptation projects for the most vulnerable communities. The benefits for the country through this accreditation are but not limited to raise international donors’ confidence and trust; leverage for raising funds; building national human capacity; and filling-up the financial resources gap for Climate Change.“This is great news not only for the BTFEC but for the nation as well, as it will go a long way in supporting the nation in its quest to combat climate change and its adaptation issues in the country,” said Dr Pema Choephyel, Director of BTFEC. The NIE accreditation process often helps countries build their capacities to adapt to climate change over the long term, by enhancing local capabilities, to identify and manage effective, localized and country-led projects, as well as apply principles of the Adaptation Fund’s environmental, social and gender policies – which foster human rights, gender equality, vulnerable and marginalized groups and biodiversity conservation in Fund’s projects in a transparent manner. In Bhutan’s case, the accreditation process was very fast and took less than 15 months from the time BTFEC submitted its application to the Adaptation Fund in November 2016. This was possible because BTFEC had good legal status and financial discipline alongside the safeguards such as risk mitigation, corruption & fraud, social and environmental, and gender safeguards. In the context of Bhutan, GNHC is the National Designated Authority (NDA). The NDA shall confirm that the endorsed project/programme proposal is in accordance with the government’s national or regional priorities in implementing adaptation activities to reduce adverse impacts of, and risks posed by, climate change in the country or region. The NIEs will bear the full responsibility for the overall management of the projects and programmes financed by the Adaptation Fund, and will bear all financial, monitoring and reporting responsibilities.